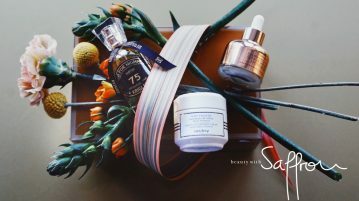 MUNICH: The dermatologist Dr. Timm Golücke just launched his first skin care series ROYAL FERN, which is exclusively available at Bergdorf Goodman in New York. The products are all based on natural fern extract and are perfect to change your beauty routine for the summer ahead of us. Read his advice and be prepared for the beach with the perfect product. IRMA: Why is fern so effective in regard to sun protection in general? IRMA: What is the best prep for a holiday in the sun? T.G. : Not going to a tanning salon! Keep your skin beautiful for the beach by peeling, waxing etc. and bringing everything in shape. You could also pre-tan with self tanning lotions, but please always be aware that your skin is still as sensitive to the sun as before! IRMA: Looking at all your products, which one and how could I use them effectively for a day at the beach and afterwards? T.G. : I recommend the serum followed by the cream at night. Royal Fern recovers your skin from a day at the beach with exposure to sun and saltwater. The Royal Fern Complex, which just received the European patent, is highly antioxidant, deeply moisturizing (time release effect for 12 hours), protects the skin from environmental damage like sun and urban pollution, reduces the loss of collagen (and induces new production of it!) and is also reducing pigmentation of the skin. IRMA: If I can only take one product into my holiday suitcase, which one would you suggest? T.G: The cream, of course! It soothes and recovers your skin perfectly after a day full of sun! IRMA: Where is the best place to store the products, especially to get more effectiveness? T.G. : Never expose skincare products to direct sunlight. The best place is to store the products in a dry and cool place. When you do not have AC in your holiday room I suggest to put the products in the fridge. IRMA: Which beauty routine do you suggest when it comes to cleansing after a day at the beach? And in the city? T.G. : Cleaning is essential, we will launch a new Royal Fern all-in-one cleansing product in fall with Bergdorf Goodman! But until now I like Clarisonic and micell solutions to clean the skin, depending on the skin type. After a day on the beach I would rather use a “soft” cleaning product like a micell solution or a cleansing milk. But back in the city I highly recommend combining an innovative cleaning product with an oscillating brush (like Clarisonic) to clean the skin from urban pollution and to minimize pores. IRMA: Your suggestion for a perfect healthy skin treatment from inside to get ready for the beach? T.G. : Juice detox for skin and body 7 days before you leave to the beach. Sometimes I also recommend taking betacarotene supplements but do not use it if you smoke! 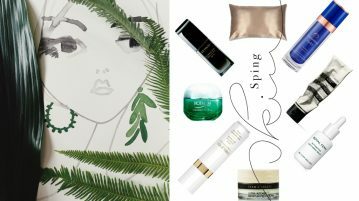 IRMA: What to put on first, the serum/cream of Royal Fern or the sun protection product? T.G. : When you go to a really hot and humid place, I recommend only using a sunblock in the morning and Royal Fern products including our eye cream at night to recover the skin. When you go to places like LA where it is less hot and humid, you should first apply serum and cream, wait 5 minutes and then follow with the sunblock. Hab ich mir gerade gekauft.Bin super zufrieden.